Man, fishing games (that aren't on the Dreamcast and come with a plastic peripheral) are boooooooring. Know what'd make 'em more exciting? Blowing up the fish you catch. This is Radical Fishing. It looks pretty radical. 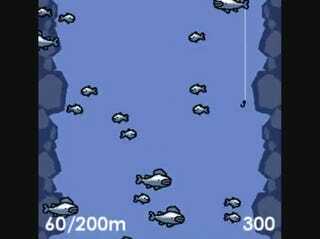 You fish, you catch fish, you throw the fish in the air, and you make those fish explode. The better you do, the more cash you make, the better your exploding weapons will be. Radical Fishing - Teaser from Vlambeer on Vimeo.